As a responsible client, you’ve made an important decision to undergo some self-improvement including Botox treatments. Take the next step in self-care and apply the same thoughtful process to caring for your skin afterwards. A little preparation can make a big difference in downtime, bruising, and pain. First: consult your physician in advance. 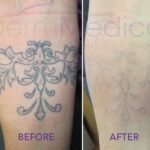 As someone who sees many clients through these procedures, he’ll be well-informed on the best options for your particular skin type and procedure. Ask him for aftercare advice at the time of booking your procedure, so you have time to shop for whatever you might need, from gel packs to facial cleansers. Specifics vary widely depending on the procedure you’ve undergone, naturally. 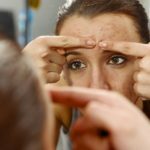 Botox thankfully offers minimal downtime since it is a series of injections with a fine needle, but if you are on medication or supplements such as St. John’s Wort which may thin the blood, you’ll want to suspend that medication from about a week before treatment until at least the day afterwards. Naturally, do not suspend actual prescribed medication without doctor’s approval. Speak to the doctor who prescribed the medication. Avoiding these kinds of meds over the previous week will lessen the potential bruising at the injection site. Some meds and supplements that are on the No Fly list for that pre-procedure week: Ibuprofen, aspirin, Excedrin, Vitamin E, St John’s Wort, Omega 3’s, ginko biloba, ginseng, and for B-Day itself, also alcohol. You can resume them a couple of days after the treatment. That’s right: no alcohol the day of the procedure (even if you think you might need it to get past the needles). Immediately afterwards, apply cold compresses after the procedure to reduce swelling. Gel packs are good for this, and shape around the face easily. And to work the Botox into the muscles and nerves, do facial exercises, making exaggerated expressions. If your treatment was for the brows and forehead, furrow your forehead and knit your brows, then relax, repeatedly for the first hour or so afterward. This is a good time to remind you not to schedule any personal appearances immediately after your treatment; you need to take the time to look after yourself. Do not schedule a big lunch that day, thinking you’ll show off your fresher look; this is not the same as getting your hair done. Go home and take it easy for a couple of hours. Keep your hands away from the injection site. It’s natural to want to poke and see if anything feels different, but resist the temptation. 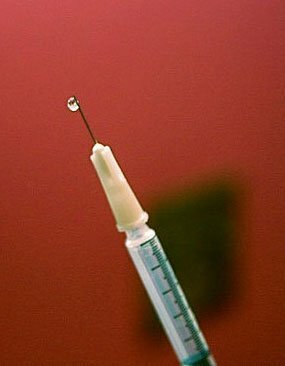 The Botox is supposed to sit where it was deposited, taking effect only on those specific nerves, and an unlucky prod from a curious finger could misplace it and reduce the effectiveness of the treatment. We shouldn’t need to say this, but avoid facials, dermabrasion, and the like for a few days afterwards. If you normally use a facial scrub, switch to a cream for a few days. And if you’re a gym hound, take the day off this once. However minimally invasive, it is still a medical treatment, and you need to avoid anything that raises the blood pressure for the rest of the day. Now order some food delivered and relax! That’s an order.